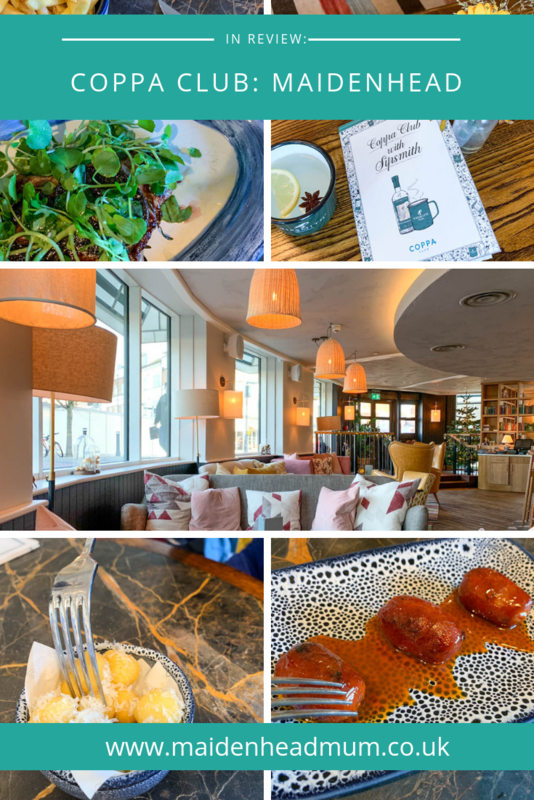 If you’ve heard the name but aren’t really sure what to expect, then it might help to explain a bit of the philosophy behind Coppa Club. 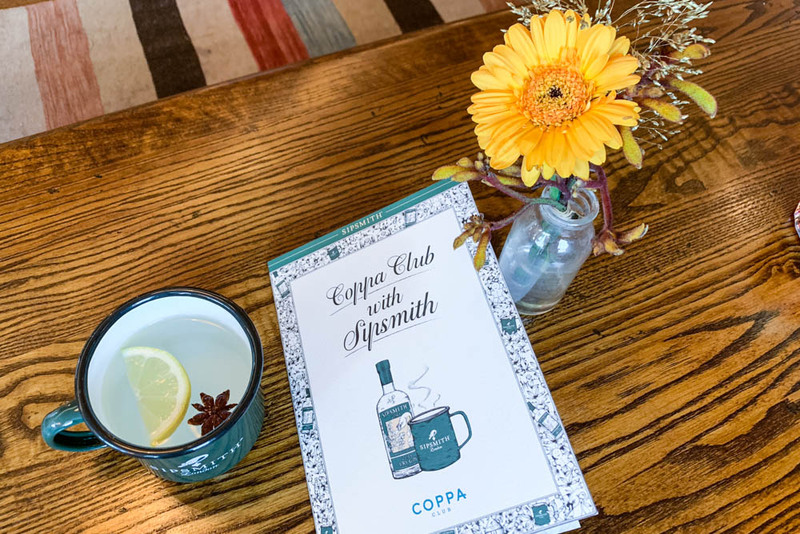 Unlike most restaurants and bars where you’re encouraged to come for a drink and a meal and then move on, Coppa Club invites you to make yourself at home throughout the day from the early morning to the evening. 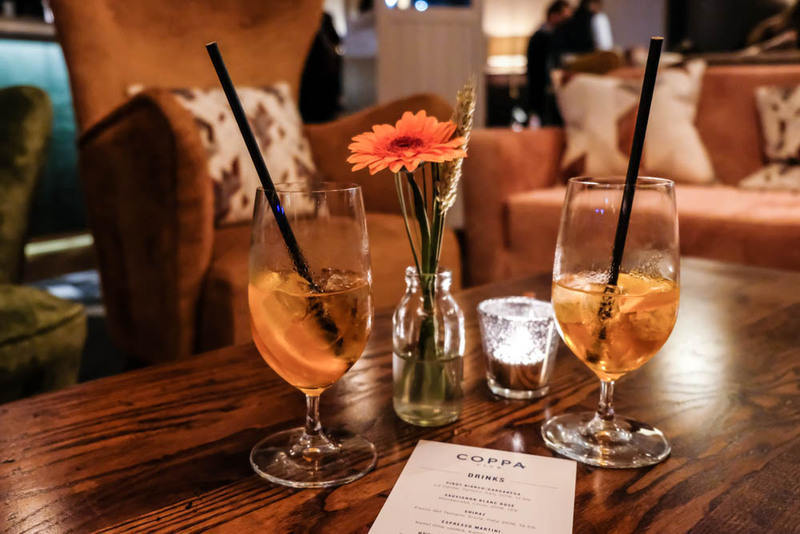 It’s an idea based on private ‘members clubs’ which offer their members a home from home for people whether they are working or relaxing with friends, but unlike their pricey London counterparts, Coppa Club has no membership fees. 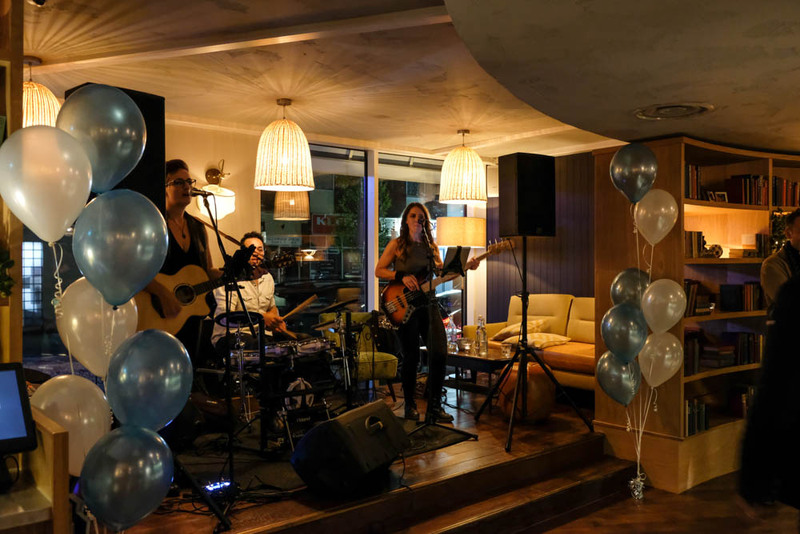 Their first ‘club’ was opened in 2015 in Sonning on Thames and they now have branches in Henley, London Tower Bridge, London St Pauls and as of October 2018, Maidenhead. 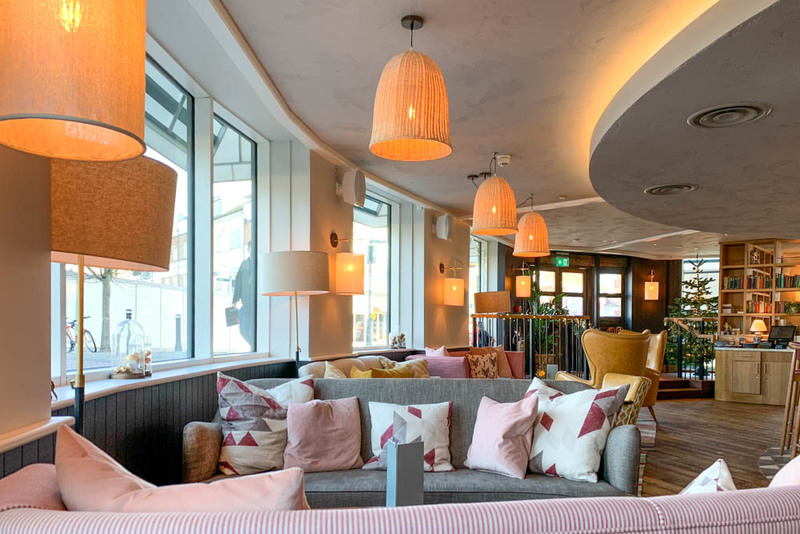 The Maidenhead branch has a restaurant for around 60 people, a large comfy bar area with plenty of funky sofas and chairs (it’s their biggest bar out of all of their locations!) and a covered outside terrace area which can be used all year round. 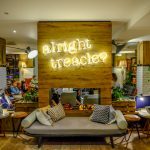 Whether you are meeting friends for a cocktail or need to do some work on your laptop, you’re made to feel very welcome. 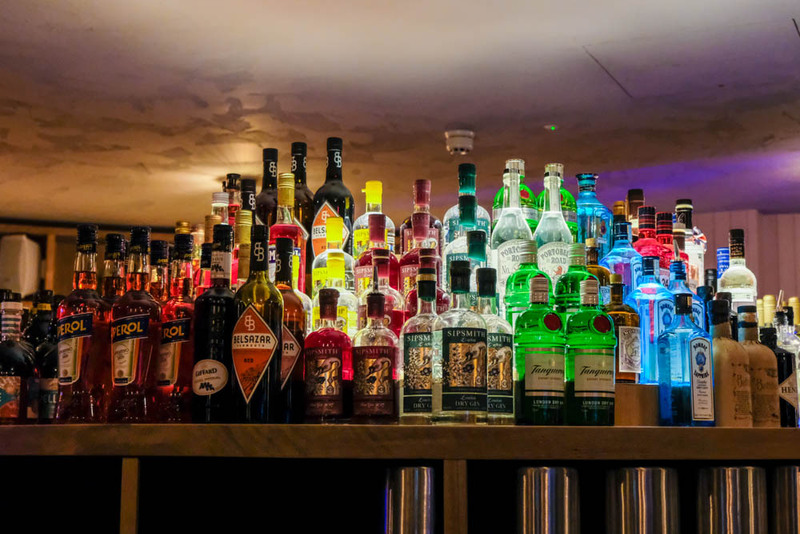 The bar has an extensive range of drinks. On the opening night they had a live band playing. 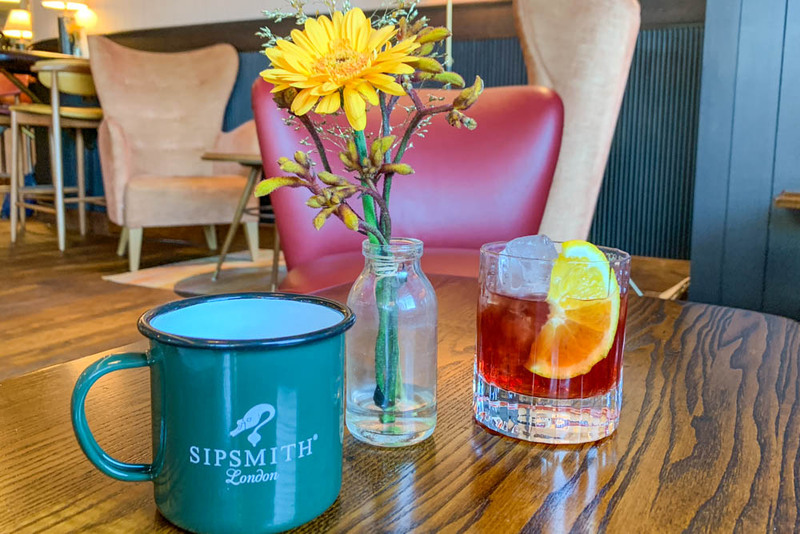 If you’re booking a table at the restaurant, then I would definitely advise that you allocate some time before or after your meal to sit in the lounge area and enjoy a cocktail, specialist gin, wine or beer. (Apologies if you’re doing dry January!) 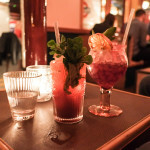 They have a great drinks menu with familiar favourites and some new combinations. I was intrigued to give hot gin a try when we visited! My husband took one swig and declared it to smell ‘like shower gel’ to which I assume he meant ‘aromatic’! I’m not sure that it’s up there in my ultimate favourite cocktail list, but it was certainly a winter warmer. If someone handed me one while I was stood outside in the cold, I would be most chuffed! 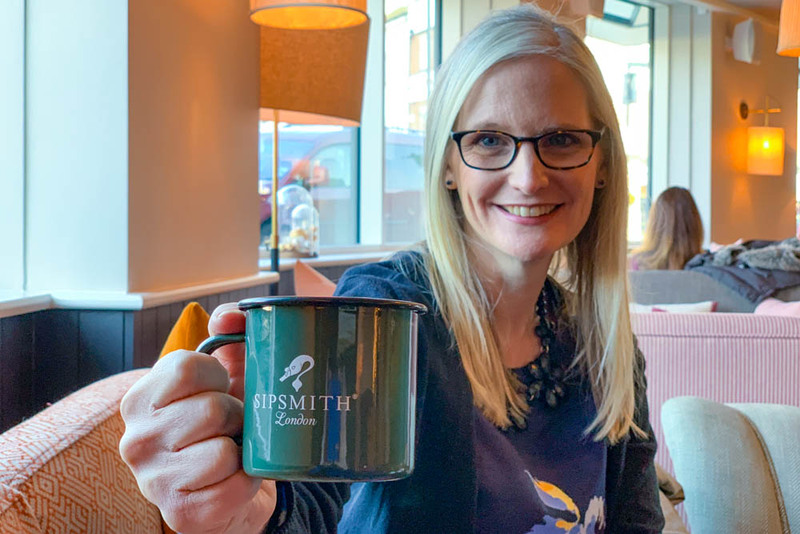 Gin with a twist: I’ve never had a hot gin before and certainly haven’t had gin in an enamel mug! I’d always associated enamel mugs with camping, if only I had known about hot gin! What’s on the menu at Coppa Club? Depending on what time you visit, you can choose from the breakfast, brunch or all-day menu. My husband and I went on a Tuesday in December when we both had time off from our day jobs and had a ‘date day’ for his birthday. 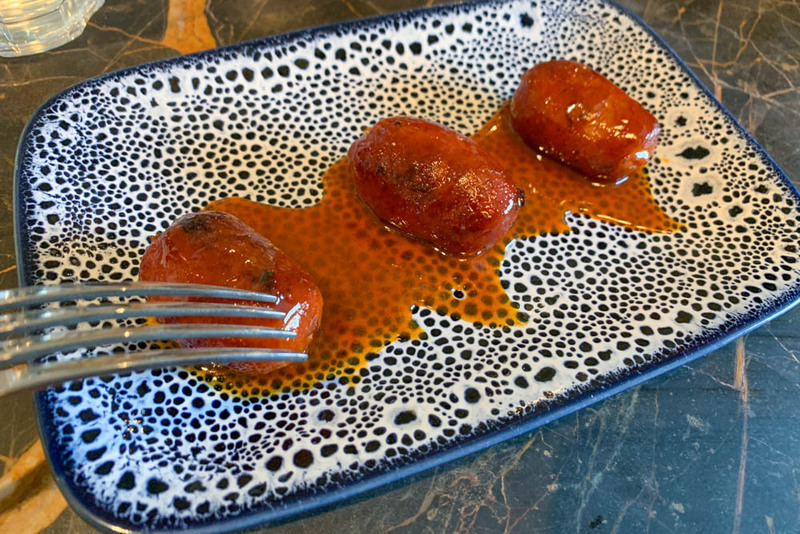 The website informs me that their style of food is ‘thoughtful, unfussy, European food’ and if I were to explain that to a friend I’d say that there are lots of familiar dishes that everyone will enjoy. If you’re looking for ‘never-before-tried flavours’ and delicacies, then this probably isn’t the place for you. Instead, you’ll find a mix of seasonal salads, pastas, pizza and mains from the grill which include lamb chops, chicken and steak. 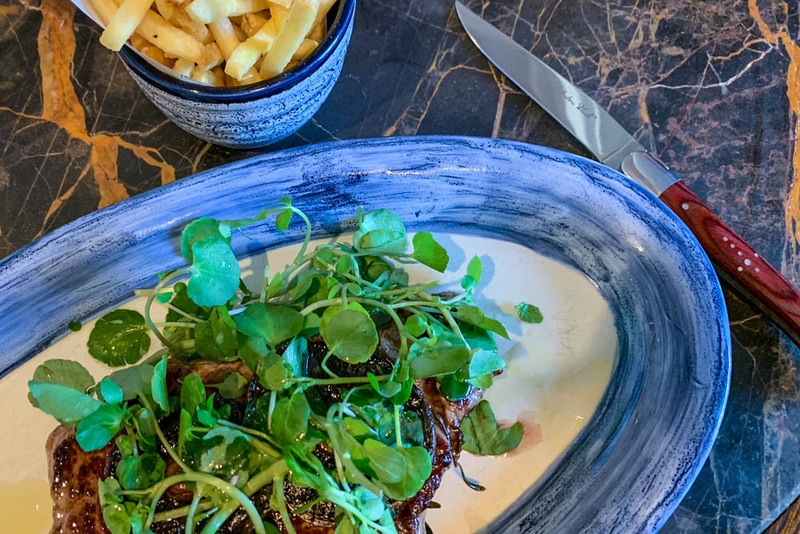 To give you a rough idea on prices, Mains are £12.95 to £24.95 including sides, salads are £7.95-£8.45, and pizzas and pastas are around the £11 mark. 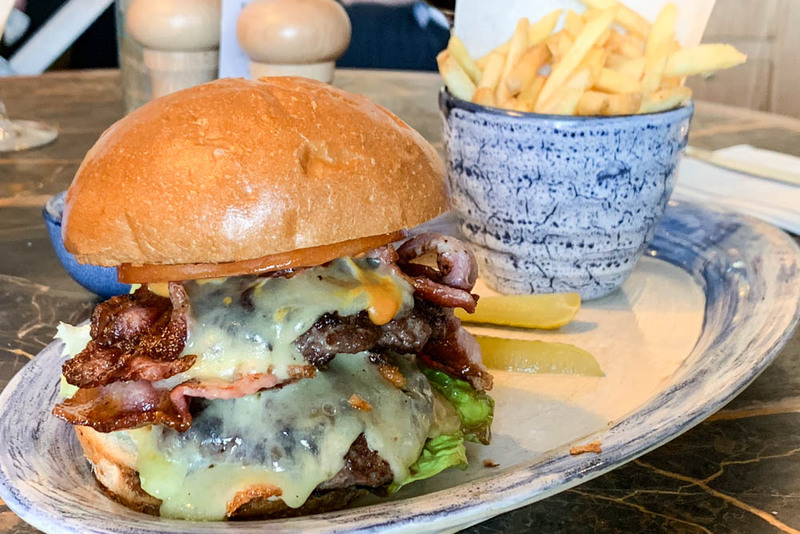 My husband chose the bacon cheese burger which had crispy bacon and melted cheese. Simple but tasty. 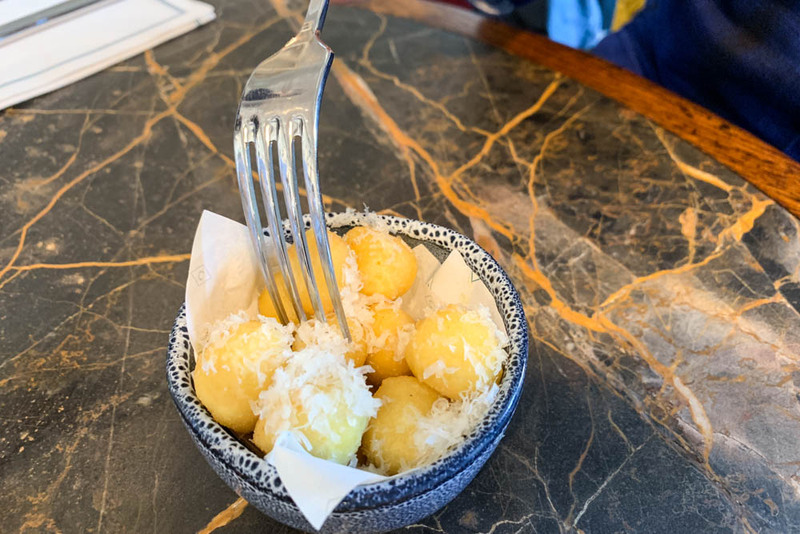 I was a little envious of the Gnocchi that my husband had for his starter but this was definitely not a dairy free option with all that cheese. 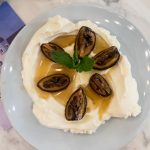 Dairy free food at the Coppa Club? Regular readers of the blog will know that I have a dairy intolerance (which started after having children: thanks kids!). It can be a bit of a pain eating out as while my companions get to leisurely browse a menu, I have to go and ask for the allergen spreadsheet and search through to find dairy-free options. At Coppa Club, the staff were very happy to help advise me on what I could have and double checked with the kitchen when I had questions. I chose ‘sticky chorizo sausages’ from the ‘nibbles’ section as a mini starter and the sirloin steak and fries with garlic mushrooms for my main course. 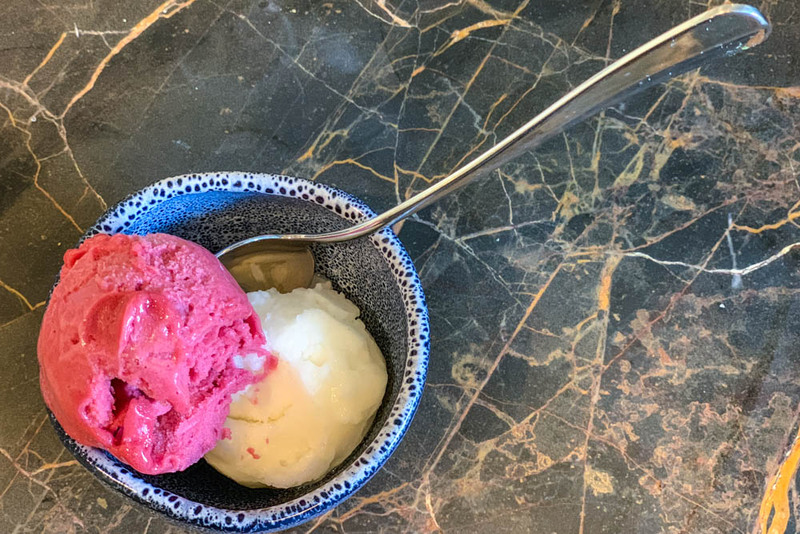 When it came to desserts, our waiter advised me of the sorbet that they had, and I opted for half lemon and half blackcurrant. They had a couple of vegan options on the menu (always a safe bet for dairy free), so I would be happy to go back again and try something else from the menu. 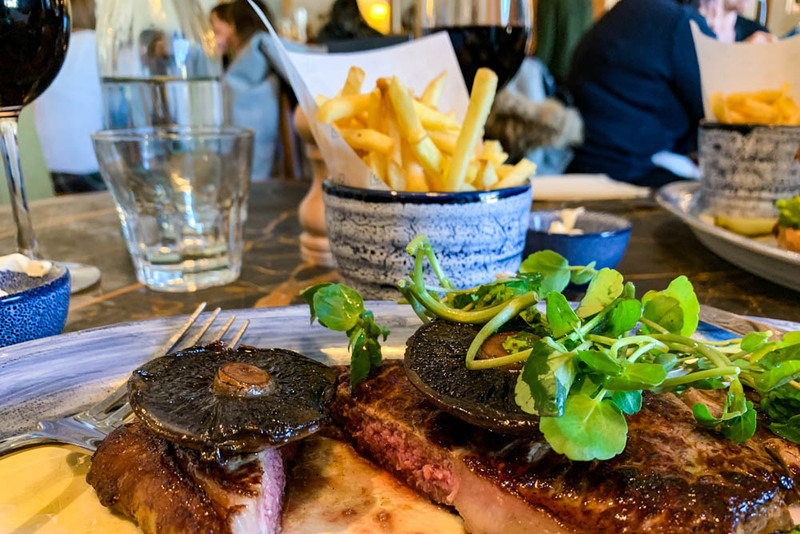 If you’re reading this in January 2019, Coppa Club are taking part in ‘veganuary’ and have some extra mains options available including roasted squash and miso soup and capprocciosa pizza with wild mushrooms, globe artichokes and black olives. The glaze on the chorizo was a lovely mix of sweet. sticky and spicy. I had a sirloin steak which was perfectly cooked as ‘medium rare’. Two flavours of sorbet for dessert. It might not seem exciting, but for us dairy free folk, the dessert menu is usually a no-go area. At the beginning of this post I asked ‘What’s all the fuss about?’. On the surface, it may just be ‘another restaurant’, but it feels like much more than that. I’ve lived in Maidenhead since 2010, and there has always been the feeling that Maidenhead isn’t really the first choice of somewhere to go for a night out with the girls or a ‘date day’ with your other half. Instead, I’ve seen people head to The Botanist in Marlow, Bills in Windsor, or over to Henley for one of the many restaurants there. We’ve been guilty of jumping onto a train to London for a ‘date day’ too. In fact, our visit in December was the first time that we decided to stay local and opted for cocktails and a meal at Coppa Club followed by an afternoon movie, all in time for our 5.30pm curfew to pick the children up from our childminder. Coppa Club seems to fill the middle area in between a traditional boozer with wall to wall sport showing and an up-market gastropub or restaurant (of which we have many in and around Maidenhead). I would feel equally at home meeting a client or working with my laptop as I would meeting a group of friends for cocktails or taking my parents out for a meal. There are very few places in Maidenhead that can tick all of those boxes. Above all of that though, Coppa Club Maidenhead gives us a tantalising glimpse of our future town. You can now stroll down to Chapel Arches and choose to visit Coppa Club, Funky Wood, The Broadwick, Strawberry Grove or Pizza Hut. We finally have choices of places to go out in the centre of town, and with so much more redevelopment planned over the next few years this will only increase even further. *Disclosure: We received a meal and drinks in return for an honest review here on the blog. The member of staff that served me had no idea that I was doing a review, so I am sure that the experience we had was fully representative of standard service. Exciting times: Coppa Club opened their doors today! I had a little look around, it’s fab! They had over 800 emails from people wanting to come and visit them for their 'soft launch'!. Use this Pin to save this post to Pinterest. The ultimate London hotel for £58 a night?